The overwhelming public response to the first ever season of Disney On Ice in Durban has led to an unprecedented sell out of this year’s show, The Wonderful World of Disney On Ice! To accommodate public demand, leading local promoter, Showtime Management and the show’s producer, Feld Entertainment are pleased to announce an extra show has been added at 10h00 on Thursday, July 13 2017 at Durban’s ICC Arena. “Ticket sales for Disney On Ice in Durban have surpassed all expectations and outperformed sales in record time.” says Tony Feldman of Showtime Management. “We are delighted to be able to offer this extra performance to meet the demand so we encourage Disney on Ice fans to book now to avoid disappointment.” Tickets are on sale at Computicket and there are special family packages on offer. Share in the magic with its extraordinary line-up of Disney stories that come to life in The Wonderful World of Disney On Ice! Join Mickey Mouse, Minnie Mouse, Donald Duck and Goofy on a walk down memory lane with Dory, Nemo and Marlin from Disney Pixar’s Finding Dory as well as Anna, Elsa and Olaf from Disney’s Frozen. There’s Rapunzel, Snow White and the Seven Dwarfs and your favourite Disney Princesses plus Buzz and Woody; Simba, Timon and Pumbaa; Jasmine, Aladdin and Genie. Make unforgettable memories as you explore The Wonderful World of Disney On Ice these July school holidays. The production concludes with a captivating parade of classic and modern Disney characters, bringing the production to a final culmination of excitement and adventure. With an extraordinary lineup of hit songs, memorable scenes and timeless characters, The Wonderful World of Disney On Ice has a story for every generation. 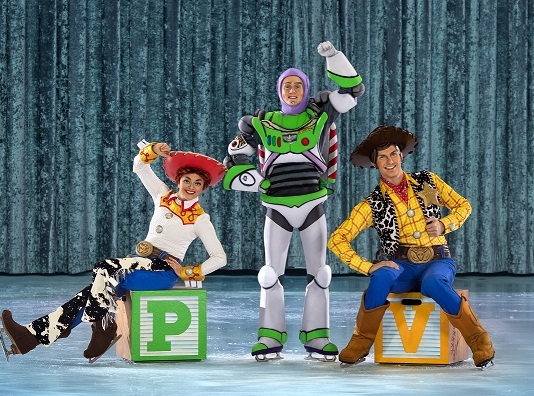 The Wonderful World of Disney On Ice is the ultimate family winter school holiday show. Book now at Computicket by calling 0861 915 8000, visit www.computicket.com or your nearest Computicket service centre. Patrons are asked to please note that owing to safety regulations each person, irrespective of age (including babes in arms and children under two years) must have a purchased ticket. To discover more about Disney On Ice, log on to www.disneyonice.co.za or visit us on Facebook and YouTube.